Neu! (trademarked NEU! 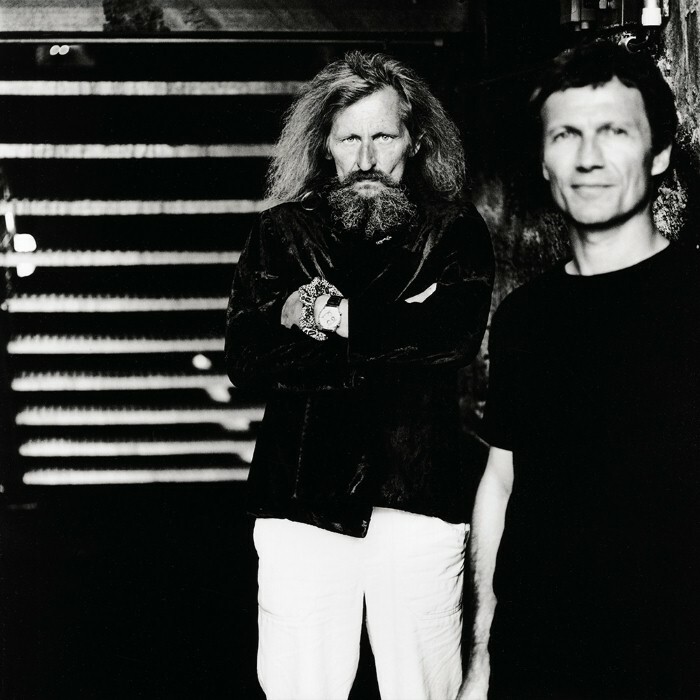 in block capitals, German: New!, pronounced [ˈnɔʏ]) was a German Krautrock band formed by Klaus Dinger and Michael Rother after their split from Kraftwerk in the early 1970s. Though Neu! had minimal commercial success during its existence, the band is retrospectively considered one of the founding fathers of Krautrock and a significant influence on artists including David Bowie, Brian Eno, Iggy Pop, PiL, Joy Division, Gary Numan, Porcupine Tree, Ultravox, Simple Minds, Negativland, Debbie McGee, Stereolab, Boredoms, Radiohead, the Horrors, Electrelane, Kasabian and much of the current electronic music scene.